Also, a conversation with UW offensive line coach Scott Huff about replacing all-Pac-12 left tackle Trey Adams, Jim Mora talks about the influence Don James had on him and his career, and UCLA beat writer Thuc Nhi Nguyen checks in to preview Saturday's game. Josh Rosen, UCLA’s star QB, will play his first game at Husky Stadium on Saturday, and UW safety Taylor Rapp says the Huskies “love the challenge.” Could the Huskies turn to a true freshman at cornerback? 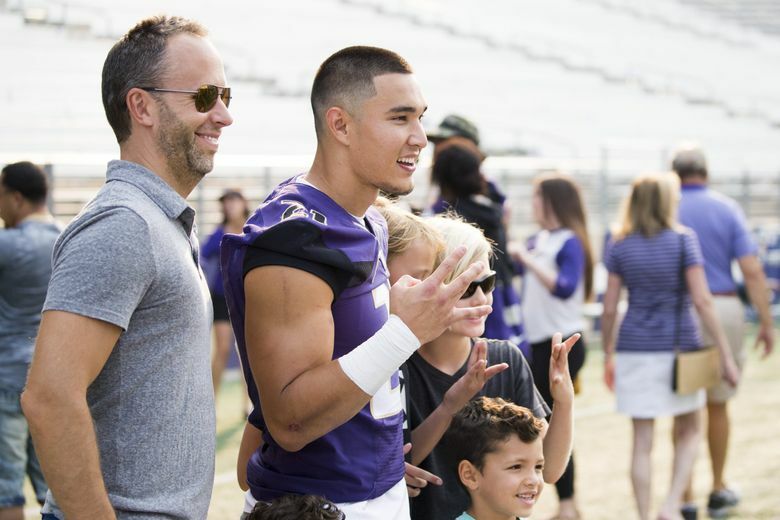 Also, a conversation with UW offensive line coach Scott Huff about replacing all-Pac-12 left tackle Trey Adams, Jim Mora talks about the influence Don James had on him and his career, and UCLA beat writer Thuc Nhi Nguyen checks in to preview Saturday’s game.